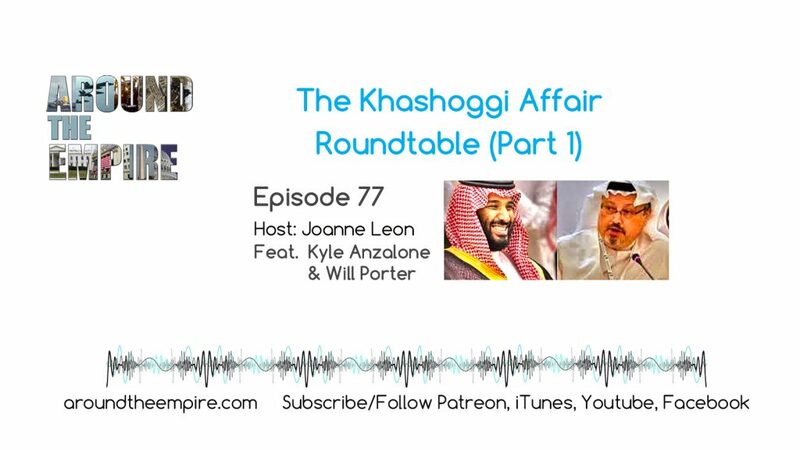 Friends of the show Kyle Anzalone and Will Porter join Joanne Leon for a special two-part series on the Khashoggi Affair, which symbolizes a much bigger geopolitical crisis and battle. Roundtable format, released in two separate episodes in the coming week for our listeners or available in advance, in full for patrons. Recorded on November 23 and 24, 2018. Music by Fluorescent Grey.